If you are looking to improve your chess, tactical training is a sure-fire path to success. However, there are tactics…and then there are tactics! In the endgame, and often even right after the exchange of queens, most of the standard combinations known from the middlegame no longer work. 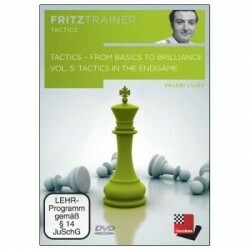 On this DVD, Valeri Lilov deals with realizing tactical opportunities in such quiet positions as well as the concepts that you need to know in order to discover these at the board. What’s more, he also shows you tricks and techniques that you can use to punish the most common endgame mistakes. If you are looking to improve your chess, tactical training is a sure-fire path to success. However, there are tacticsМа®Х‰цвand then there are tactics! In the endgame, and often even right after the exchange of queens, most of the standard combinations known from the middlegame no longer work. On this DVD, Valeri Lilov deals with realizing tactical opportunities in such quiet positions as well as the concepts that you need to know in order to discover these at the board. 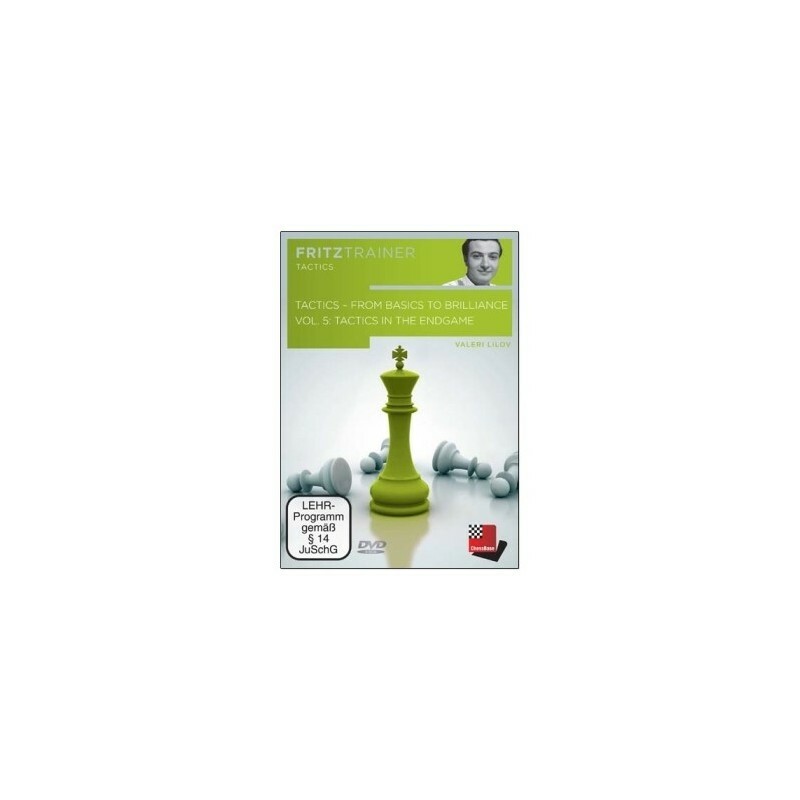 WhatМа®ХМЄs more, he also shows you tricks and techniques that you can use to punish the most common endgame mistakes. Take a fascinating journey through a world of wonderful combinations and deep ideas with IM Lilov. The young master from Bulgaria has prepared a unique collection of selected tactical problems together with their astounding solutions. The first thing you should do, however, is try to solve the problems for yourself Ма®ХМЏ particularly because the author has made excellent use of the new interactive training format. He invites you enter your solutions on the board and provides helpful and immediate video feedback, just in case you donМа®ХМЄt find the right move on your first attempt. Take your tactical prowess to a whole new level by trying this exciting tactics course with Valeri Lilov! Interactive training: 55 exercises with explanations and video feedback.